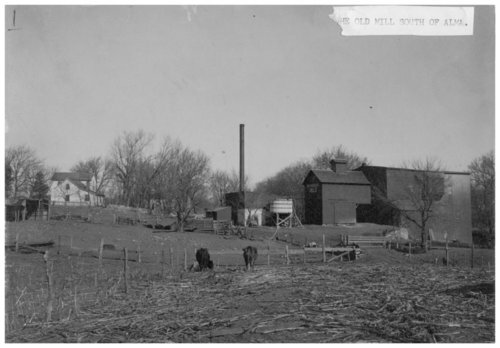 Two photographs of the old flour mill in Alma, Kansas. When these photographs were taken, the mill operated as part of Mid-Kansas Mills. The mill was located just south of Alma on Mill Creek.